How To Handle An Aggressive Rooster! May 14, 2016 April 4, 2018 - by Gold Cochin - 33 Comments. Want to know How To Handle An Aggressive Rooster? Roosters are born with their sense of duty towards the flock they belong in. We have discussed the reasons why are some roosters aggressive such as genetics, hormones, and sense of authority. We have received a lot of e-mail concerning this particular questions. So, for today`s article, we would like to make it easier for every chicken keeper to handle their aggressive rooster properly. Wondering How To Handle An Aggressive Rooster? Roosters bully everyone around them, and they are good at it. They can scare off dogs, cats, and even their own chicken keepers along with their families. At the end of the day, it is a part of every rooster`s job to fend off any threat. Whatever a rooster considers a threat the rooster is ready to fight to the death to protect his flock. 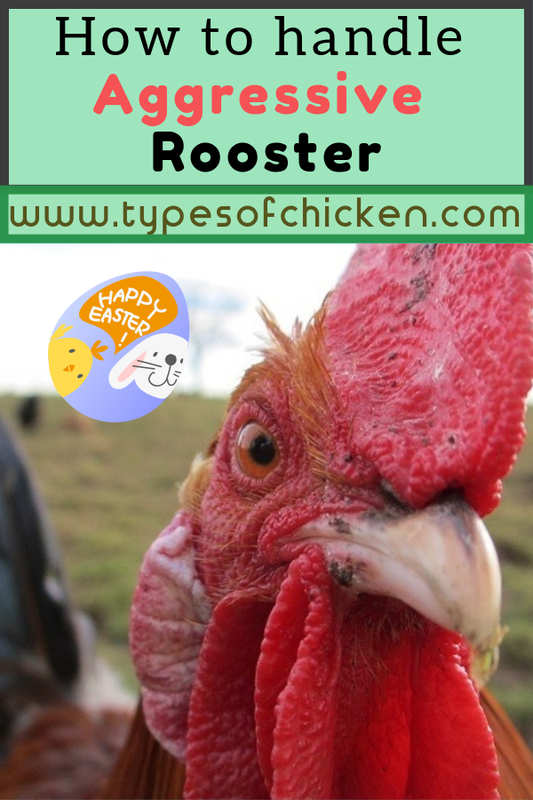 Roosters have their pecking order and there is always a rooster in the flock that considers himself as the main (Alpha) rooster and that rooster will be aggressive to other roosters as well to his keeper. If that kind of behavior from your rooster scares you and you are not prepared to spend some time and patience to teach the rooster matters of authority – then it is better to find a new home for him. When you notice the first signs of aggression in your rooster you need to pick him up and hold him no matter how much he struggles. Do not put the rooster down until he completely stops struggling and just stays calm. This means that the rooster is recognizing you as an image of authority. If the rooster does not stop struggling hold him under your hand and move around with him while doing some chores around the coop such as feeding the flock or changing the water. If this works, do not think that the problem with the aggressive rooster is gone. It may happen from time to time in the manner of the rooster biting you when you are picking up another chicken from the flock. If this happens just hold the rooster by the beak for a minute or so and that will remind him of your authority. After you have done this if the rooster still shows signs of aggression, repeat the process whenever the rooster does the aggressive thing you don`t like. Repeat this for one to three weeks and if that does not stop the aggression you may want to check out the second method. As the title says, we do not recommend this method. It should be used only as a last resort – in some cases, it is better to give the rooster a new home than to do this. When the rooster gets aggressive hold him upside down by the legs and do not let him back up until he is completely calm. This is dangerous especially if the rooster has something in his mouth. That can lead to the rooster choking to death. But it is effective if done properly you can expect your rooster joining you while you are collecting eggs. Previous Article How To Protect Your Coop From Cats & Dogs! I have a very aggressive mean rooster. He flies up and tries to kick with the spurs. It’s gotten to where I have to beat him away, just to get in the house to feed and get eggs. He attacks anyone that goes to the pen. Suggestions? I have Jersey Giants and one of my roosters- whom I raised from a chick, has become aggressive. My trick is to chase him around the pen (a small area) and when he starts to tire, I put my hand in the middle of his back and push his chest into the dirt- holding him there for a minute or two. Once I let him up, I move aggressively toward him and he usually backs off. I know he’s going to be a jerk again, but so far this has worked and no one had gotten hurt. I still have a scar on my leg from one of his attacks. He doesn’t let you get close. He charges then jumps almost head high sometimes and rears back and kicks, He’s evil. Toilet brush. Poke him with it. They hate it. You have a million beaks. Never had a roo attack me more than once. I had a black australorp rooster that was very aggressive. I put him on the grill with some BBQ sauce. He was a little tough but i never had a problem with him being aggressive again. That is the only way to deal with. Dont waste your time. Show him who is boss. Eat him. If none of the methods work, put him in a pot! There are ten times more roosters hatched than there are places for them to live as flock husbands, breeders, or pets. Unless your rooster has ever saved your children from a burning building or is pooping genuine 14 karat diamonds I don’t see a reason to put up with aggressive behavior from him. A long soak in simmering broth will make the worst rooster turn out nice. Then look on Craigslist for a replacement from all the manymanymany offers of FreeToGoodHome roosters available. 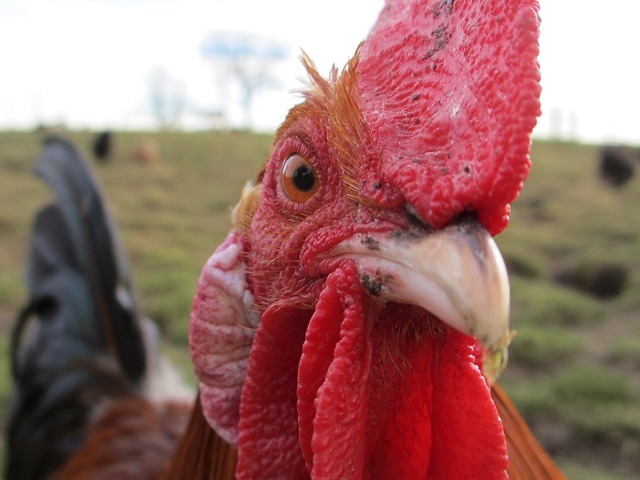 An aggressive rooster can do considerable damage, especially to a child or the elderly. Why take a chance? With so many nice roosters going off to the chop, there’s no reason to keep a mean one. 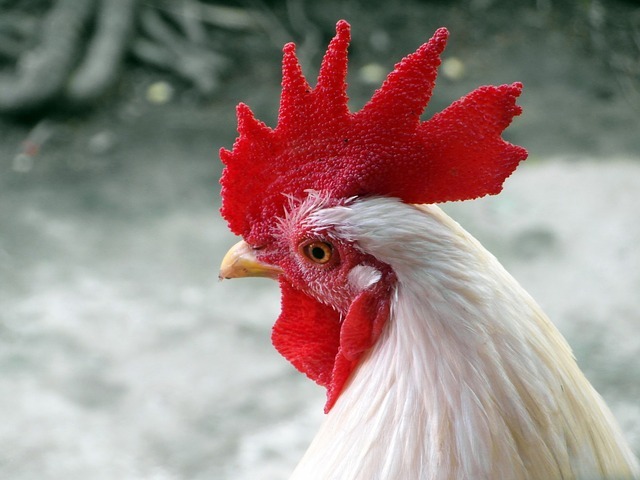 Good advice for the common breeds, but if you are trying to breed some of the rarer breeds you may need to preserve the genetics of a particular rooster. So, learning how to handle and aggressive one (or even better, learning how to prevent aggression in the first place) is good information to have. We also use the water bottle spray right at the head and best if it hits the eye. It is the best way because the natural instinct for the rooster to attack is if you try to swat him away. With the water spray, he doesn’t actually put it together with you doing the attack. He just hates it and stays away. I had a Black Autralorp rooster, Raptor by name, that was very good with his hens…and very protective. he stayed until I was done with caring for the hens. After that he never bothered me again. He became so tame, he ate out of my hand. He was the best rooster we ever had! Our problem hasn’t been aggressiveness towards us as much as being a jerk to the hens. We have yet to find a rooster that protects the hens. We saw a “wild” rooster totally care for and protect his wife in Kona. That’s the only time I’ve witnessed a protective, yet kind, rooster. How can we get roosters to stop thumping on the hens? I have a NJ Giant that attacked me twice. I got a bigger stick and whaled the tar out of him the third time he tried. As soon as I get babies from him, he is going somewhere or the pot. I have 2 doz hatching on the 28th. I will not put up with him. Someone else can rehab him or I’m inviting him to dinner. My Rhode Island/Cornish Rock cross is gorgeous and usually friendly but today he hit me from behind and almost knocked me down, he’s huge! Thankfully he didn’t use his spurs. I need to discourage this behavior or I’ll have to get rid of him. I can’t pick him up, I doubt I can lift him! I may try the spray bottle. Any other suggestions appreciated. I was checking for anything new and came across my own post from last May. It made me very sad! Bubba was a bit aggressive occasionally but overall he was better than average roo! A huge kingsnake lived near his pen and was after my eggs. It got my one baby chick that had just hatched and the egg that had not hatched yet. Then as far as I can tell, the snake killed him by catching him by the head. I’m guessing it scared the hens and he attacked! His head was slimy wet and he was dead! So Bubba died doing his job, protecting the girls! Now I’m afraid to let the hens out even mid-day because of the coyotes, I had a couple of chickens attacked in daylight and I had always thought he’d attack anything to defend his women! I sat down and cried like a baby!!! BTW I killed the snake a few days later and it was almost 7 feet! We have a rooster that gets aggressive. He has flogged me more than once. We tried both of the methods mentioned. Hanging him upside down works better. He is acts up every once in awhile but not nearly as bad as he was. We just repeat the process and he behaves better. I have a very large cochin roo who, will protect his hens. Fought off a coyote one morning, coyote took off but didn’t survive the rifle. When Rocky gets nasty with my I just kick him hard and when he backs off I stomp and charge at him, he usually gets the hint and goes on about his business growling elsewhere. He is pretty good with me because I am out there every morning and evening caring for them. My husband has had to punt him across the yard a time or two, now he just crows when my husband comes out but he keeps his distance. I have an old axe handle and I will beat him down if I have to, he is too dang big for me to pick up and carry and those spurs are at least 2 inches long, it hasn’t come to that but if it does I am prepared. Had a RIR Rooster where i used to board my horses, that SOB, I had to beat him senseless with a horse halter and lead, and I mean I beat him till he laid down and didnt want to get back up. He torn my slacks and drew blood so I was done being nice. Told my barn manager and he was dinner that very Sunday. You do know that beating them to death only aggravates their aggression right? I’ve had some mean roos that chased and bit everyone in the family, but we never abused them, and I always started training them as soon as the aggression started. A good push and hold to the ground for a minute a few times each day for a week is all it took to make my roosters as tame as baby chicks. Swinging and hitting them makes them retaliate even more, and risks injuring the roo. If they are that mean I would just cook them and get another roo, but not kick and beat them. That’s just cruel. Um, if you beat them to death, they aren’t aggressive any more. I give my roosters one chance. The first time a rooster attacks I deal with him then and there by penning him to the ground and holding him down until he submits. If there is ever a second time he goes straight to the crockpot. I won’t keep an aggressive rooster. It isn’t worth it. There are plenty of nice roosters out there. I will not rehome an aggressive rooster, because I do not feel right passing the problem to someone else and I will not hatch chick from an aggressive rooster. The only exception I ever made to this was a bantam cochin rooster who was so stinking cute I didn’t have the heart to dispatch him. That was a mistake because he got meaner and his son has a nasty attitude as well. Tastiness comes in small packages, so it all worked out. I have enjoyed reading these items regarding aggressive roosters. I learned a lot about how to handle them and had a lot of laughs besides. I no longer have chickens (got too old to go out in the snow and ice in winter) but miss them a lot. Reading these replies bring back a lot of wonderful memories. Aunt Jane…Sorry to read of your loss; the rooster, chick, eggs and any hens by the snake and/or coyotes. I am glad you were able to get rid of the snake. a rock or branch in the stream and return the next day to finish the meal. We also had several red fox that caught some of my young roosters, but when I gave chase, the fox let it go, with no harm to the roo. came to see the chickens when their mother’s were off giving birth. Now that we no longer have chickens, it seems we see less wild animals around the farm. I even miss the wild animals a bit! Chicken soup out of mine. Only time I enjoyed being around him. I’ve done both methods, but, yes, he needs frequent ‘refreshers’. I also do not allow him to mate with the hens in my presence. I’ve also tried pinning him down on the ground by his neck — first time I did it he cried like a baby, but didn’t mess with me for a LONG time after that. He’s the size of a turkey, so I need him to respect me. I actually appreciate his aggressive, protective qualities, as I witnessed him saving his girls from a large red fox. How do I handle am agressive Roo? I put him in the crock pot fpr hours then I eat him.